The Metropolitan Club was founded as the Woman’s Athletic Club – the first of its kind west of Chicago and one of only a small handful of women’s clubhouses that emphasized their equality with similar places for men, rather than choosing the more homelike, residential style more typical of women’s clubs of the late 19th and early 20th centuries. At the time this clubhouse at 640 Sutter Street was built, every other women’s club in the state was residential in scale. This club, therefore was the first large scale commercial woman’s club in California. It was also the first woman’s clubhouse in California designed on the model of a Renaissance palazzo, a style usually associated with business buildings and other male institutions. 1915 was an optimistic and energetic time in San Francisco. 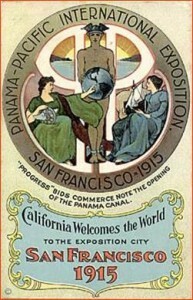 The city had been largely rebuilt from the devastation of the 1906 fire and earthquake, and was preparing for the 1915 Pan Pacific International Exposition, a world’s fair to celebrate the opening of the Panama Canal. 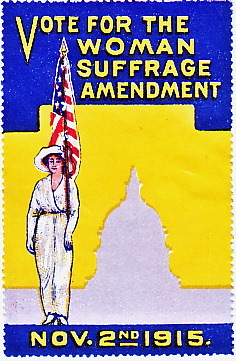 Although women’s suffrage at the federal level did not come until 1919, women had gained the right to vote in California in 1911. Women were moving from the more sheltered private sphere of the home to influencing events in the public sphere. Of the founding members of this club, half had worked together on the Woman’s Board of the PPIE. In that important role they organized and served as hostesses at all the official luncheons and dinners and raised the funds needed for the success of the fair. The location here was well-suited to the vision and success of the club. A major cable car line from Pacific Heights and the Western Addition came along Sutter Street past the Club providing convenient access. It bordered the important Union Square shopping district. And the men’s Olympic Club, which the founders sought to emulate in size and offerings, was one block away on Post Street. In fact, the area quickly developed throughout the first three decades of the 20th century into a women’s club district, including clubhouses for a YWCA next door in 1918, the Francisca Club a half block away in 1919, and the Women’s Building at the corner of Sutter and Mason Streets in 1927 (now the Marine’s Memorial Club.). Nationally, the women’s club movement began in the 1860s and 1870s and continued to grow into the 1920s and 1930s attracting some 3 million women as members, and resulting in some 1200 clubhouses throughout the country. Through them women sought to expand their influence in the public realm, to gain equal rights and to improve themselves intellectually, artistically and physically. This latter goal – to be an active, physically fit and healthy woman – was a driving force of the Woman’s Athletic Club. When it opened in 1917 offerings included gymnastics, swimming, dancing, basketball, fencing, hockey, and tennis. By 1929 there were active basketball, swimming and tennis teams, although many members preferred non-competitive exercise. As the Club approaches its centennial milestone, the significance of this physical place and its architecture is enhanced by its continuous use as a place for women to improve and renew themselves in ways that go hand in hand with civic engagement and influence. Its name changed in 1965 to the Metropolitan Club, but it is still “The House That Women Built.” It is no longer the actual residence of some of its members (some 20-40 women lived here beginning in the 1920s, with the last departing in the late 1980s) but it is still a “Home Away From Home” for its members, their families and guests with 18 hotel rooms, dining and private entertaining facilities, individual cabanas, and various small member rooms including the Quiet Room where a woman may put up her feet and rest between activities.